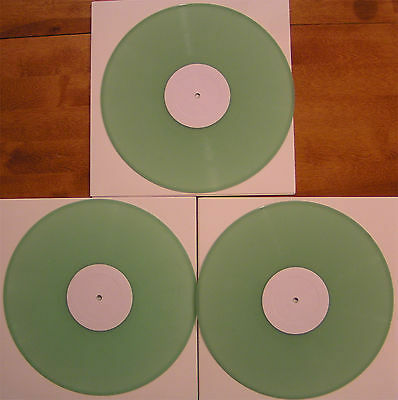 Very limited approximately one hundred of these glow in the dark colored editions of the 20 soundtrack album vinyl were produced. All the records are in near perfect condition and come with plain white covers. Shipping cost to USA address will range from $20 for priority Mail & $40 for express mail Insurance/overseas extra. We accept PayPal. e-mail us with any questions or your zip code for shipping rates. Washington residents please add 9.5 sales tax to the wining bid amount. Bid or buy with confidence I have been shipping records through the mail for 30 plus years, satisfaction always guaranteed. Overseas purchases must be shipped by Express mail, do to the high value. Note: Winners of our auction must contact us within three days. Payment must be received within 8 days, or non paying bidder alert will be sent.